The public is invited to the opening of an exhibition by Essex artist Betty Lee Taylor, at the Essex Library on Sunday, November 23rd, between 2-4 p.m. 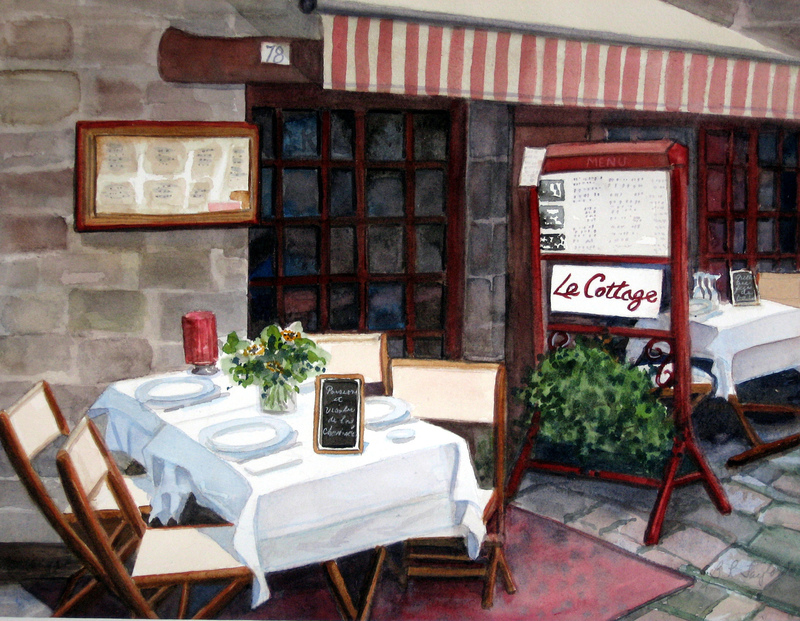 The show, entitled “French Lessons”, is a collection of watercolors Ms. Taylor painted during her stay in Dinan, Brittany, France, where she was awarded the honor of being named “Artist in Residence.” Her paintings have been exhibited in the United States and in France. The exhibit will be on display through the month of December. I enjoyed seeing some of your paintings. I am visiting my brother in Arlington, Va and will take the Auto Train to Fl tomorrow. I will be in the Venice area for two months. I will return the beginning of May, I can’t believe I will be 80 on May 22. You look great and have not aged a bit. I would love to hear from you. Keep in touch.